Europe-wide Open Call attracted over 200 applications from 29 countries. The Selection Panel met on 20th February 2019 in Sitges (Barcelona). We received over 200 applications!! The quality was very strong and therefore competition was very high, so the final selection was very hard! Anne Corté is born in 1987, lives in Paris and develops a caustic work concerned about the writing of the multiple. She started to set up performances while studying at the Marseille’s Fine Arts school. After various experiments in South America, she followed the FAI AR learning program, a two-year training course focused on site specific performance. At the end of this program she presented Experiences de bananalité, a contextual performance playing with pedestrian movements and created the association roure. After several other collaborations, she went deeper to the possibility of experiential dramaturgy with Zéro Avril. A piece which invite some members of the audience on stage, masked by ghosts costumes, in order to experience Death. She currently works on a solo piece that explores vocoders and autotune possibilities on a theatrical narrative. His artistic work ranges from dance pieces, video and music, to site-specific projects with the utilization of mixed media. This interdisciplinary practice is characterized by an special relation with urban spaces and the insertion of constructed fiction in daily life as a way to open doors of awareness on how we perceive reality. 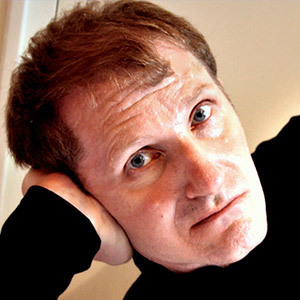 My name is Dmitri Rekatchevski, I am a physical actor, director and writer. My career has first started in Russia where I have studied acting and directing to the Khabarovsk University of Arts for five years (1995-2000) and where I have performed in several theatrical pieces. Then I moved into France, where I have finished International Mime School of Marcel Marceau (2002) and where I have been working on physical and street performances as an actor or director for the last 18 years in Europe, Canada and Chili. My artistic research is concentrated on the visual aspect of actor’s body in relation with theatric space: the augmented body trough costumes and scenography. The last years I am experimenting physical theatre in relation with new technologies, thought PhD studies, and more precisely about interaction between real actors and virtual characters. The artistic result of that experiment was IAM4MIME (Interactive mapping for mime) that won the Price of SACD (Society of authors, composers and dramatists-France) for the best play for multimedia of the year and the price of ARTE TV, price of CUBE association (new technologies). James Riordan is Artistic director of Brú Theatre and works freelance as a director, performer and choreographer. 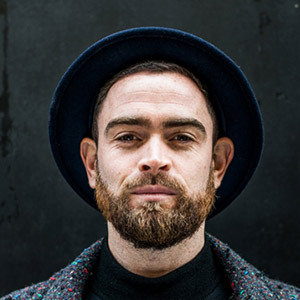 He is from Galway in the west of Ireland and trained in physical theatre at the APT, (Berlin) and in LISPA (London). He’s a member of The LipSinkers (UK) and one of the performance directors with street spectacle company Macnas (IRL). He was a Druid FUEL participant in 2018 and was selected for Baboró’s pathways to production 2019, both Irish programs that support theatre creation. He directed two productions with Brú Theatre in 2018, one with German partners the APT (Berlin), both mask based shows set to music. He has just written and performed in a sell out production of Brú’s third work entitled Selvage, a physical theatre piece about calming the anxious ‘gnaw’ within. He’s currently developing a show for younger audiences about the environment entitled Nighland. ACTS – laboratory for performance practices is an artist-run organization for practical research in contemporary performance. Based in Oslo, Norway, ACTS was founded in 2011 and it is driven by the artistic directors Fernanda Branco and Luanda Carneiro Jacoel. The foundation of our work is on bridging interdisciplinary art forms in Norway, to foment development through the actual exchange between artists from different artistic backgrounds. ACTS focus on local and transnational artists to expand notions of local-global from the perspective of being in long durational transit. We sustain our cultural projects throughout collaborations and partnerships from individuals to institutions. ACTS seeks to collaborate with various cultural locations with a temporarily and site-specific approaches to it. ACTS positions itself as a mobile organization that promotes mobility between art forms. Born in Porto Alegre, Southern Brazil, Deise grew up in the small village of Jaguarão, by the border between Brazil and Uruguay, where she early became a part of the great public performances during carnival. This experience was her earliest reference of artistic expression, and it was during those childhood years that she discovered a passion for dance and performance. In the 2000’s she started freelancing as a performer, while pursuing studies in literature, and theatre at the University of Oslo. From 2006 to 2011 she engaged in apprenticeship at Odin teatret in Denmark. 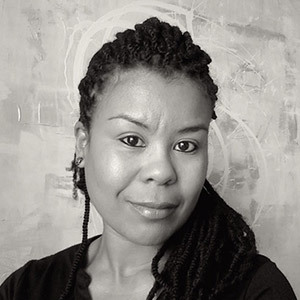 In 2010 she co-founded the artist collective ACTS laboratory for performance practices, alongside performers Fernanda Branco and Luanda Carneiro Jacoel. In 2011 she graduated as a Master of Philosophy in Aesthetic Studies and has since worked in the arts field as a performer, producer, dramaturge, concept developer and essayist. Her essays have been published in Norway, Brazil and UK. In 2017 she founded Golden Mirrors Arts Norway, a practical-theoretical hub focusing on Black women in the arts. PLATFORM 88 is a contemporary mime company directed by Janaina Tupan and Sébastien Loesener. Coming from a pluridisciplinary background, they’ve met at the International School of Corporeal Mime – Théâtre de l’Ange Fou in London under the direction of Steven Wasson et Corinne Soum. The company’s artistic research started in London in 2009 and moved to France in 2010. Our mission is to develop and promote contemporary mime through : production of pieces for stage or non-dedicated spaces, counting four piece to date; ;pedagogical activities for amateurs and professionals ; hand tailored participatory projects for specific audiences or contexts ; weekly practice and research; organisation of mime festivals. The company directs the festival Mime in Motion in Montpellier and co -directs MIMESIS Festival in Paris. They are also co-presidents of the Collectif des Arts du Mime et du Geste. Sébastien is a French mime, actor and director. He’s trained at the Conservatoire Georges Bizet in Paris and at the International School of Corporeal Mime under Steven Wasson and Corinne Soum in London. 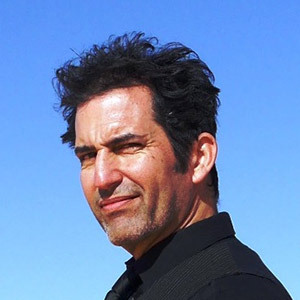 He’s perfectioned his practice studying Commedia with Antonio Fava in Italy, Visual Theatre with Complicité in London, physical theatre with Odin Teatret, in Norway and with corporeal mime master Thomas Leabhart, at Pomona College, California. He is co-artistic director of PLATFORM 88 company since 2009. He has created and directed the company’s shows, touring Europe and Latin America. As a performer he has collaborated with Spanish dancer and choreographer Margaritta Zafrilla in the piece ” Itinerarium”, performing at The Place in London. He has also collaborated with French company La Bourlingue playing as an actor in many of their shows, touring around France. He was a member of Théâtre de l’Ange Fou playing in the shows “Orpheus Complex”, “Penelope Complex” and “ L’Homme qui voulait rester debout”. As a pedagogue he has taught at Essex University (UK), East 15 Acting School(UK), Hippocampe Centre de Formation (FR), SP Escola de Teatro (BR), amongst others. He’s a teacher at University Paul Valery in Montpellier since 2018. He also directs the contemporary mime festival MIME IN MOTION in Montpellier and co-directs MIMESIS FESTIVAL in Paris. Janaina is a Brazilian actress, mime and director. She’s trained dance in Brazil and was a professional member of Dançarte Dance Company, touring all over the country. She’s trained as an actor at Indac Escola de Atores in Sao Paulo and worked as an actress in various productions under many theatre directors : Macbeth/ Maucir Campanholi, The Stronger / Olayr Coan, The girl and the clown / Kiko Marques (best playwriter SHELL prize), amongst others. She’s trained corporeal mime and physical theatre in London at the International School of Corporeal Mime under Steven Wasson and Corinne Soum. She’s perfectioned her practice studying also with Thomas Leabhart (Pomonna College, California), Odin Teatret (Norway), Cie à Fleur de Peau (France) and Claire Heggen, France). She is co-artistic director of PLATFORM 88 company since 2009, creating and playing as an actress in all the company’s shows, touring Europe and Latin America. As a pedagogue she was a corporeal mime teacher and projects director for Essex University – East 15 from 2007 to 2011. She has also taught at SP Escola de Teatro (BR), Hippocampe Centre de Formation (FR), amongst others. 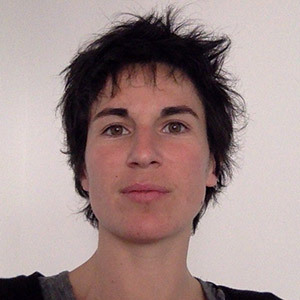 She is a member of the Chantier Pedagogique in the Collectif des Arts du Mime et du Geste, organising many differents pedagogical activities, such as seminars, workshops and conferences. She is a teacher at University Paul Valery in Montpellier since 2018. She is also director of the contemporary mime festival MIME IN MOTION in Montpellier and co-director of MIMESIS FESTIVAL in Paris. Poulpe Électrique is an association founded in 2015 with the mission to support the work of multidisciplinary artists, and contribute with the development and dissemination of the arts. In their shows and installations, the artists focus on speaking about contemporary themes. They aim at developing original and compelling work through a critical and poetic dialogue between physical expression and the digital arts. Their first production was a physical theatre piece about the relationship between women and the media: Feminine, but Elastic (2016). Their second stage project As I watched the clouds float by, the night came (2019), explores the themes of obsolescence and the Anthropocene. Parallel to their productions, Poulpe Électrique provides training to professional artists, amateurs, and anyone interested in developing artistic skills. By organising workshops on movement, theatre, and computing for the arts, they also engage in audience development. Brazilian born actress, physical theatre performer, and director. She has a BA in Performing Arts from the University of Campinas (Brazil); a MA of Arts from Drama Centre, University of the Arts London; and a PGDip in Arts Management from Birkbeck College, University of London. Nicole has trained in corporeal mime with the Theatre de L’Ange Fou, and was part of the company from 2006-2007. She performed in The List, awarded best short film by the Welsh BAFTA (2010). After several collaborations in Portugal, Italy and Sweden, she founded with Antonio Blanco Energinmotion Physical Theatre (2010-2013). Their projects included: La Ola; BE LONELY WITH ME; Where the Nights Are Blue and Electric. Since 2015 she has been working with the physical theatre and multimedia company Poulpe Électrique. Their productions include Feminine, but Elastic and As I watched the clouds float by, the night came. Teatro do Silêncio was founded in 2004 by Maria Gil. Since then it has developed projects based on artistic research and experimentation with a focus on the creation of original texts; the use of autobiographical materials; the exploration of a close and intimate relationship with the audience; the choice of intimate and non-conventional spaces; the making of transdisciplinary and collaborative work; and the development of educational and social projects. Since 2011, Teatro do Silêncio has occupied the Carnide Public Washhouse; It is a community space, which works as a public washhouse during the week and at weekends, is transformed into a venue for performances, installations, concerts, workshops, artistic residencies, launching of publications and various events. Teatro do Silêncio is also a member of the local culture network contributing to a closer relationship between local communities and contemporary artistic practices. 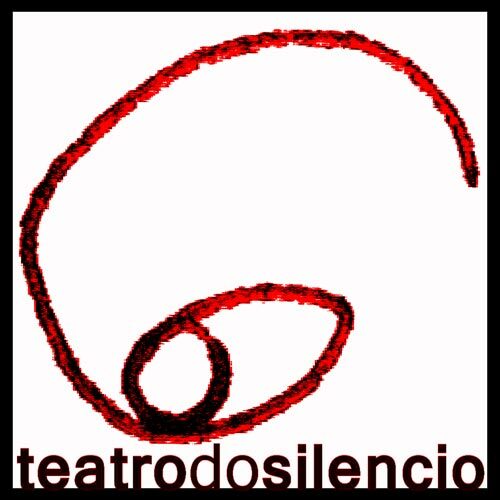 Currently, the artistic directors of Teatro do Silêncio are the artists Maria Gil and Miguel Bonneville. 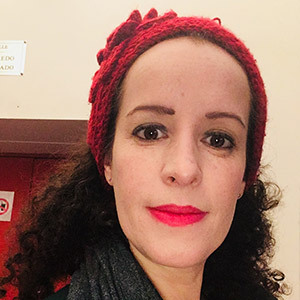 Maria Gil (Lisbon, 1978): Graduated in Theatre Directing and Drama from ESTC – Theatre and Cinema Superior School of Lisbon and completed her MPhil in Autobiographical Performances and Intimacy from the University of Glasgow. She is the co-director of Teatro do Silêncio, a Portuguese theatre company based in Carnide in the outskirts of Lisbon, Portugal. She develops projects which crosses different areas of human knowledge, collaborating with artists from different fields, from cinema to dance, to theatre, visual arts and music. Her work is experimental, and she likes to destabilize the relationship between audience and performers, creating experiences that are not completely planned but emerge from the interactions between performers, audience and space. Miguel Bonneville (Portugal, 1985) introduces us to autobiographical works focused on the deconstruction and reconstruction of identity. He presents his work in a variety of formats, such as performances, drawings, photographs, films, music or artist’s books. 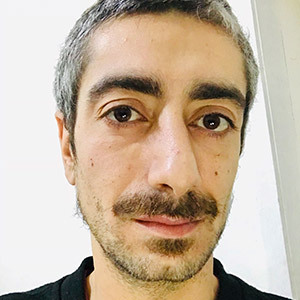 His work is presented in art galleries, theaters and festivals, namely the serial projects ‘Family Project’, ‘Miguel Bonneville’, and ‘The Importance of Being’. He studied Drama at the Academia Contemporânea do Espectáculo (2000-2003) and Visual Arts at the Calouste Gulbenkian Foundation (2006). In 2015 he won the Ex Aequo Award for the performances ‘Medo e Feminismos’ (in collaboration with Maria Gil), and ‘The Importance of Being Simone de Beauvoir’. ToTum Teatre is a company based in Barcelona and operating since 2014. It is an organization dedicated to spread and support physical and visual theatre through performances, educational work and events. With the idea of an international theatre, our artistic language is based on movement, especially on Corporal Mime. ToTum TeaTre organizes workshops and classes for Universities; Schools and Cultural Centres. The most recent theatre production is RatOn created in collaboration with the theatre Sala Fenix and the art centre La Miranda, it is officially supported by InIt (International Network of Italian Theatre). In 2014 ToTum TeaTre created the show Cuarteto Combinat. With a residency in the centre for creation NunArt and in the civic centre Parc Sandaru – Kinètic program. In 2013 ToTum TeaTre with the Italian company Morks created Inevidenza – Workshop and Street performance. Oscar is specialized in physical theatre with many years of experience as actor, director, teacher and acting coach. 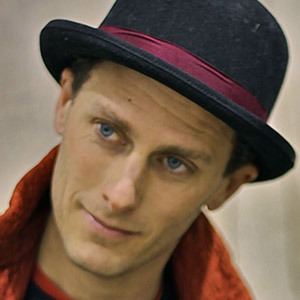 Highly trained, he is involved in different theatre, circus and pedagogical projects around the world. Oscar is working with people coming from different art forms like classical theatre, physical theatre, circus, music and dance. Over the years he worked in places like: TNC; Barcelona; Teatre Lliure, Barcelona; Teatro Maria Guerrero, Madrid; Moveo, Barcelona; Eòlia, Barcelona; Fira Tarrega; Mostra SESC Sao Paulo; Teatro Guimerá, Tenerife; Barbican Arts Centre, London; Edinburgh Fringe Festival; London Oscar is co-funder of the theatre association ToTum TeaTre, Barcelona. He is a member of the circus company Capicua where he works as a director and a performer. Oscar is co-funder of the theatre association ToTum TeaTre, Barcelona. Sanna is a Finnish actress based in Barcelona. 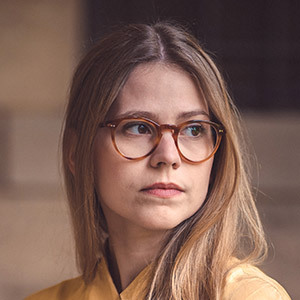 She has studied theatre and performing arts in Finland in the upper secondary school of performing arts “Kallion lukio” and in Lahden Kansanopisto. Furthermore, she has completed physical theatre and corporeal mime studies in MOVEO, Barcelona. She has also directed and interpreted shows with different theatre companies in Barcelona. In addition, Sanna also has experience acting in a TV-show in Finland, for which she was nominated for the Outstanding Actress award in the Monte Carlo TV- festival in 2011 for her role in the series “Helppo Elämä” (“Easy Living”). Sanna has also participated as an actress in various films, commercials, music videos and in dance and video art. Currently Sanna is performing with La Fura dels Baus theatre company and participates in Make a Move project as a member of ToTum TeaTre. Performer and creator in the world of physical theater. Originally from Lebanon. I work from artistic multi disciplines such as theater, corporeal mime, dance, acrobatics, music and audiovisual, but principally and especially with the body as a research and creation engine. Currently an actor and director of a new show in collaboration with the artist Neilor Moreno Dias, and actor in the show “Sommes-nous?” with ‘CIA Si tu t’imagines’. Currently as well assisting in workshops of dance and acrobatics. 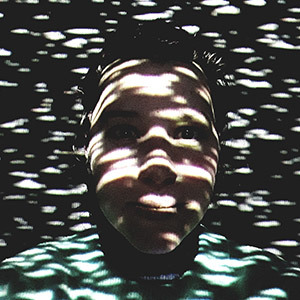 Diploma and specialised in Dramatic corporeal Mime and Physical Theater by MOVEO-Barcelona. One year of English theater workshop in A film Actor’s Studio, Sitges-Barcelona. 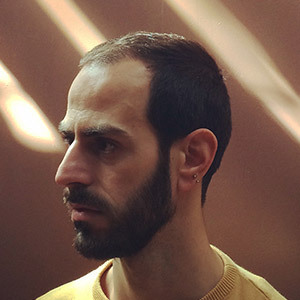 During his career he has participated in different productions in different cities of Estonia, Lebanon and Spain, highlighting his work in the shows «Lingua Franca» with ‘Moon Productions’, «Tarannà» with María Campos,«Anclas» with ‘La fusta’ company, “Hilos” with “El Asombro” company, and “Entre los 2” in collaboration with Helena Yung. Played in several independent short films in Sitges and in Lebanon, as «Tanjara», for the “48hourfilm project 2011” (directed by Roody Khalil). We are a “partnership under civil law”, created in 2017 by performer Christina Lederhaas and writer/performer Johannes Schrettle. The work focuses on the creation of performances at the interface between movement and language. 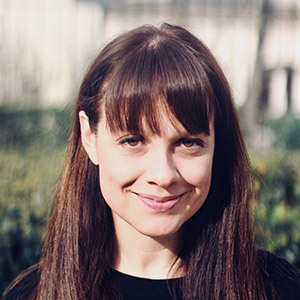 Christina studied dramatic arts in Graz, corporal mime (ecole de mime corporel) in England and developed her work through international residencies and guest performances. Lederhaas’ works on and off stage are at the intersection of stagnation, voice, dance and clown. 2017 she began a new work with the composer Slobodan Kajkut at the intersection of dance and composition Johannes Schrettle was part of several collectives, working for theater im Bahnhof Graz, and Forum Stadtpark among others. As a writer, he had his texts produced in several theatres in Austria and Germany. In 2007 he was co-founder of indeüendet company which he is still working with as director, performer and writer. Recently WORKINFLIGEBALANCE is presenting the show “die Note and some other people” in Graz. 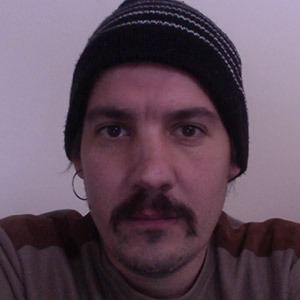 Johannes was born in Graz in 1980, where he lives as a freelance author, translator and theatre maker. He was a founding member of the author group “eigenbau” of theater im bahhof (1997 – 2004) and of “zweite liga für kunst und kultur”(2007 – current: (http://zweiteliga.weblog.mur.at). As writer he worked with companies and theatres such as Theater im Bahnhof, Burgtheater Wien, Wiener Festwochen, steirischer Herbst and others. As a translator from spanish he worked with theatres such as Schauspielhaus Graz, Theaterhaus Jena, Konzertteater Bern and others. As a performing artist, he founded the collective “workinglifebalance limited” with his wife and colleague Christina Lederhaas in 2016. Since 1993 theatre maker in the Theater im Bahnhof/ Graz. She was born in Tyrol, visited a HBLA in Salzburg, works in the hospitality industry in Tyrol and Vienna. She completed a partial study of theatre studies and ethnology in Vienna, worked as assistant director and dramaturge in independent groups in Vienna, St. Pölten and at the Landestheater Salzburg. 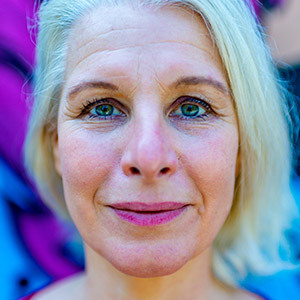 She has lived in Graz since 1994 and works at the TiB as an actress, dramaturge, author, speaker and improviser. In addition, she is in charge of the press for the TiB and acts as webmaster. As an author and director she also works with other groups, most recently for the group Dagmar. She also appears as a presenter and at readings.